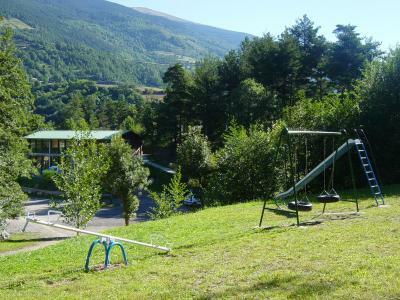 Lock in a great price for Camping Vall de Ribes – rated 8.1 by recent guests! 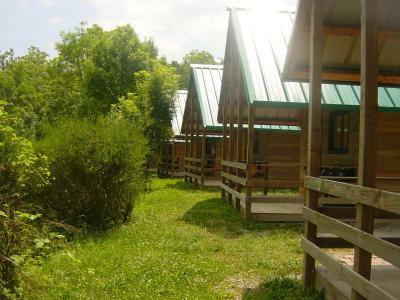 SEJOUR AGREABLE , ACCUEIL SUPER ET CHALET AVEC BELLE VUE , TRES REPOSANT !!! nous reviendrons……. El bungalow, la ubicación, la tranquilidad, el entorno. Es un amalgama de estímulos..! Fetén. VOLVEREMOS. El bungalow muy correcto, con todos los utensilios necesarios, el baño bastante amplio. 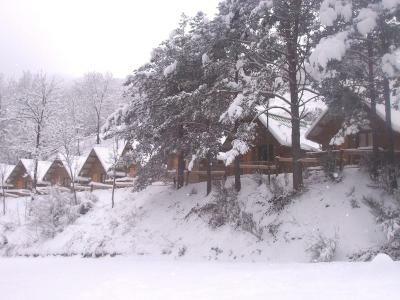 El restaurante del camping muy recomendable. A tan solo 10 min andando al pueblo. La tranquil.litat de la zona. Bones vistes. Situat a 5 minuts del poble. I el bungalow estava molt net. Leuke hut. Lekker warm. 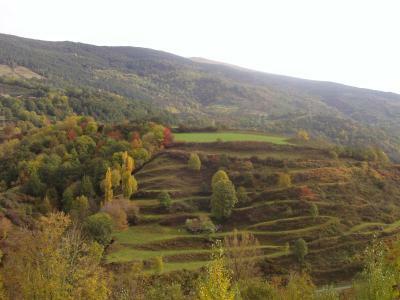 Prima uitvalsbasis voor wandelingen en Tandradtrein naar Núria. 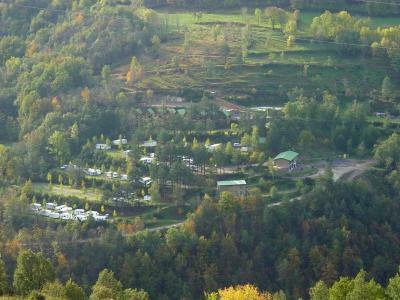 Camping Vall de Ribes This rating is a reflection of how the property compares to the industry standard when it comes to price, facilities and services available. It's based on a self-evaluation by the property. Use this rating to help choose your stay! 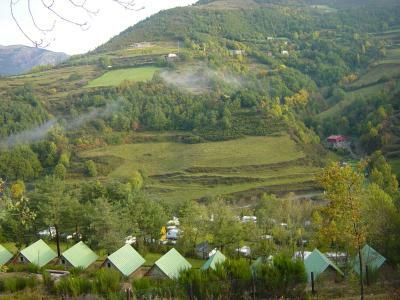 This camping site is just 1,650 feet from the Ribes-Vila station servicing the zip trains to Vall de Núria. 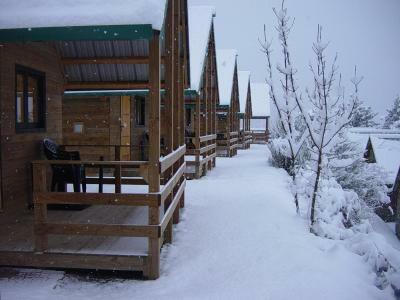 It features a seasonal outdoor swimming pool and offers ski-to-door access. 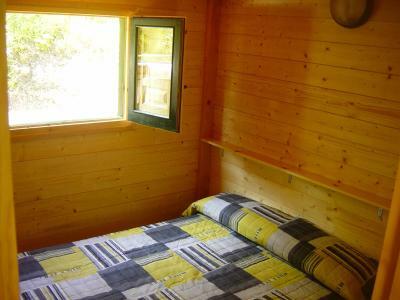 All heated bungalows at Camping Vall de Ribes feature a rustic décor with parquet flooring and wood-paneled walls. 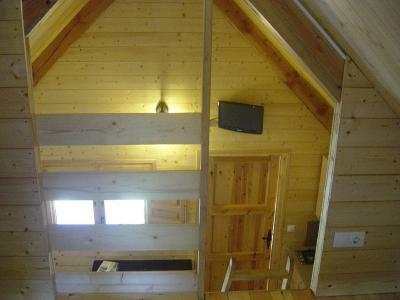 Each has a furnished terrace. 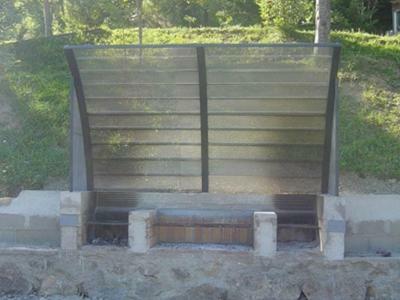 There is a restaurant and bar at the camping site and guests have access to barbecue facilities. Packed lunches are also available. 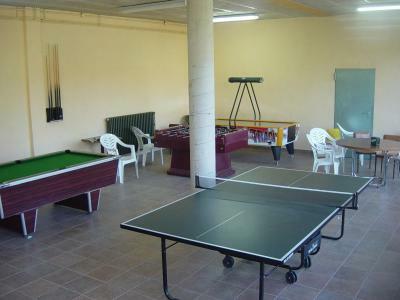 Vall de Ribes has a children’s playground and games room with billiards and table tennis tables. 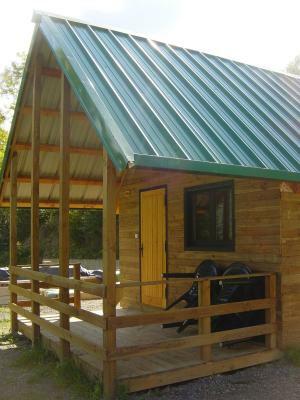 There is also a communal laundry room and luggage storage is available. 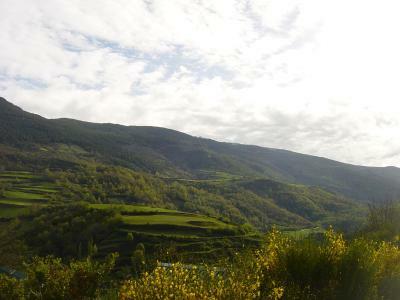 Ripoll is about 20 minutes’ drive away and Vic can be reached in less than 1 hour by car. 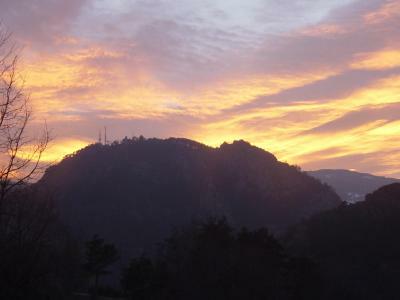 When would you like to stay at Camping Vall de Ribes? 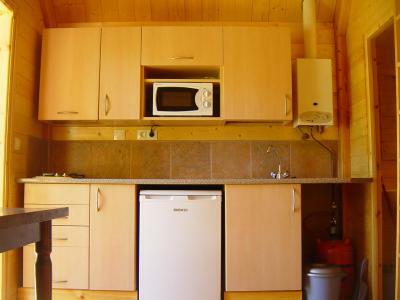 This wooden bungalow has a bedroom and a raised sleeping area, a bathroom with shower and a kitchenette equipped with a gas hob, microwave and fridge. 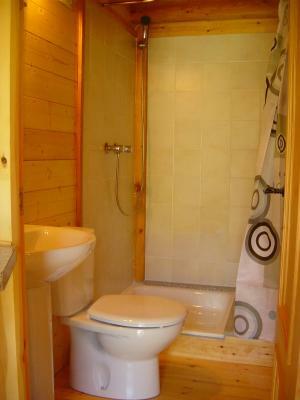 Bed linen and towels are not provided, but can be rented from reception. 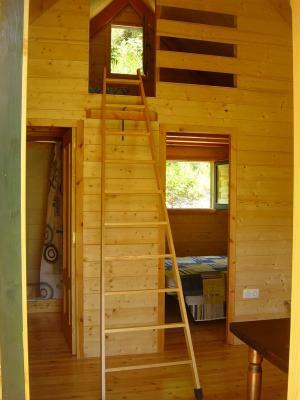 House Rules Camping Vall de Ribes takes special requests – add in the next step! 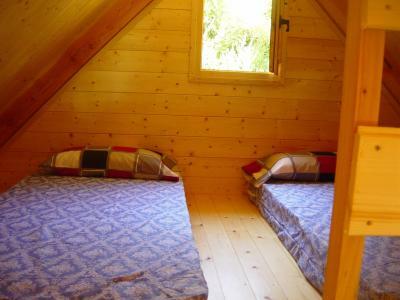 One child from 3 to 10 years is charged EUR 5 per person per night in an extra bed. 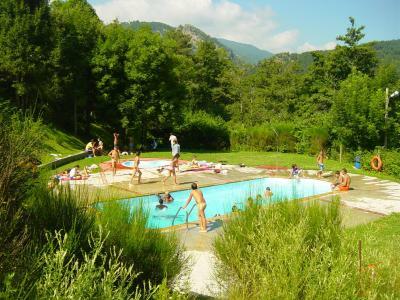 Camping Vall de Ribes accepts these cards and reserves the right to temporarily hold an amount prior to arrival. 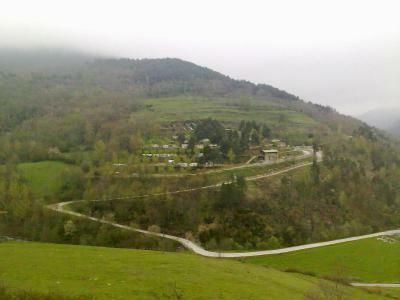 Please inform Camping Vall de Ribes of your expected arrival time in advance. You can use the Special Requests box when booking, or contact the property directly using the contact details in your confirmation.